The Snowberry So Soft Cleanser is perfect for all ages but in particular for sensitive and acne-prone skin types. It is the third cleanser I am reviewing for Snowberry, and I am genuinely impressed! The Snowberry So Soft Cleanser is perfect for all ages but in particular for sensitive and acne-prone skin types. It is the third cleanser I am reviewing for Snowberry, and I am genuinely impressed! I am reviewing several Snowberry Cleansers, because CLEANSERS ARE SO IMPORTANT, and my first review was the Snowberry Gentle Cleanse & Tone Cleanser. I then followed with the Snowberry Instant Deep Cleanser. With these two now firmly finding a place within my beauty routine it was time to try the Snowberry So So Cleanser. My first initial reactions were great, at $30 NZD for 125ml it was excellent value for money from an excellent brand. The Snowberry So Soft Cleanser is a gentle, refreshing cleanser that protects the skin's natural barrier. I have been using it before and after my weekly facemask sessions. The Snowberry So Soft Cleanser is designed to be used by those that have sensitive or acne prone skin. I often look for and choose skincare intended for sensitive skin as these products are generally the most gentle and likely to cause the least irritation. It is formulated to naturally work with your skin type and is gentle for sensitive skin. All though Snowberry So Soft Cleanser is not all natural, all the ingredients included are gentle on the skin. This cleanser is free from the aggressive chemicals and doesn’t contain anything that can dry out the skin. The Snowberry So Soft Cleanser is a gel cleanser that very gently foams up. It’s quite similar in texture to the Gentle Cleanse and Tone, although it’s a little more smooth and gel-like. One thing to note is that this cleanser isn’t designed to remove makeup but it’s an effective cleanser afterwards, and it does remove any traces of makeup that may be left over from the makeup removal process. It is a gentle cleanser and like the Gentle Cleanse & Tone, this is perfect for morning cleansing, and evening also, unless makeup is worn. Overall, your skin will love you for it. It does what it says it does and makes your skin feel lovely and soft after using it. It can be used day and night, and I find it works so well in conjunction with the Instant Deep Cleanser which will help remove your makeup initially and the So Soft Cleanser will act as the second cleanse, I have also been using it post my Sunday mask sessions! And yes, I will be buying again. Snowberry is available online here, or for a list of stockists click here. 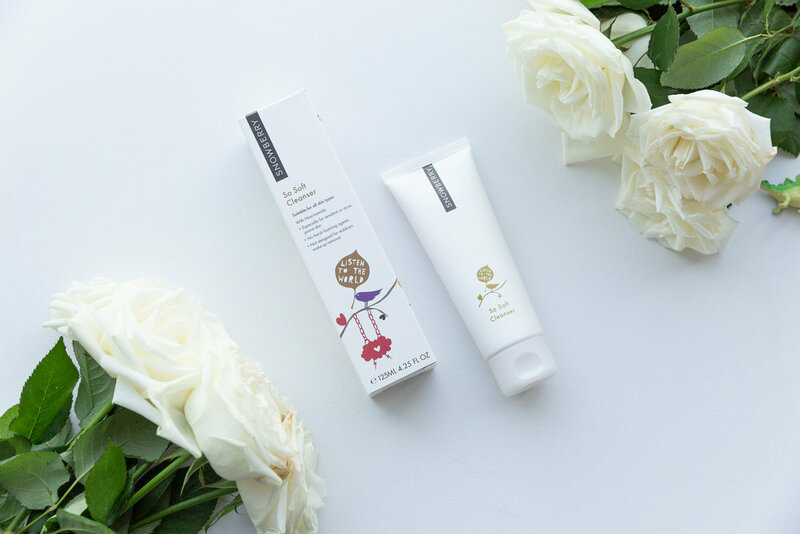 The Snowberry So Soft Cleanser has a New Zealand recommended price of $30 NZD.